To register your copy of ProtoMon, select the Help - Register menu item, or click the toolbar button with the Unlock image. The following dialog will appear. 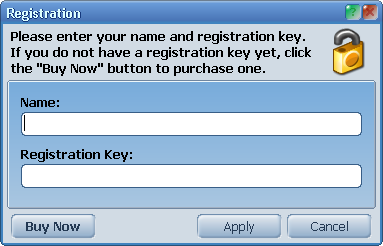 Enter you name and registration key, then click the Apply button. If you do not have a registration key yet, visit the ProtoMon Order Page to purchase one.